Working on your feet for long hours while carrying heavy things can be tough, that’s why you might develop plantar fasciitis if you do not have enough cushioning for your feet, but the way out is exist, it is to use the best work boots for plantar fasciitis. This problem causes a paralyzing pain on your arch and heel, which affects your productivity and compromises your standing and walking posture. In this article, we are going to help you choose the ideal plantar fascia boots for all your work needs. We will give you a comprehensive buyer’s guide in addition to reviewing 10 of the best work boots for plantar fasciitis. Check it out!! Safe, tough, and comfortable is how the manufacturer describes the Pit Boss work boots. Timberland manufactures premium footwear known for using recycled and sustainable materials in its craft and has been in the footwear industry for a long time. The boot is ideal for workers looking for protection from the pain of plantar fasciitis. These boots for plantar fasciitis feature a steel toe construction that offers a bigger toe space, unlike other boots. This keeps pain at bay overextended work periods. They also have electronic hazard protection for safety against electrocution and a traction grip for slippery and wet surfaces. It is made using a heat resistant durable rubber compound that gives increased resistance to slipping. This gives better traction across all surfaces. The boot also has an open-cell footbed made of polyurethane that has an antimicrobial treatment. It’s pro 24/7 comfort suspension technology features Goodyear welt and a nylon shock diffusion plate, will give you all day comfort. These work boots for supination also have a removable sock liner that prevents blisters from forming. Verdict: Aside from giving you better traction for all surfaces, Pit Boss provides superior comfort and pain relief from plantar fasciitis. Coming in six colors, the Skechers Men’s Verdict boots are ideal for tough conditions. Skechers, an award-winning global footwear brand, designs and markets trendy footwear for men, women, and kids. It was developed in 1992 and produces different shoes for different lifestyle needs. 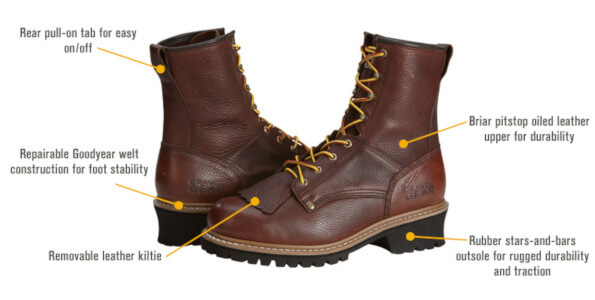 These lace up work boots are made using high-quality leather for increased durability. Its rubber sole is slip and oil resistant, making it safe to walk on slippery surfaces. Its shaft is 5 inches from the arch offering extra arch support. These memory foam shoes have a padded collar and a lightly padded insole that adds to its comfort. Verdict: these boots are integrated with memory foam that provides superior shock absorption, thus making them ideal for people with plantar fasciitis. Thorogood has been in the market since 1892 and has different boots for many uses. It is made by the Weinbrenner Shoe Company, a manufacturer known for innovating and fitting different common important work and safety elements into boots. These tobacco oil tanned leather boots are made in USA, which guarantees high quality. It is made using the Goodyear Storm Welt technology that produces quality and durable shoes for all types of rugged use. These boots feature removable dual density footbeds that have a Poron 400 cushion to give you maximum support. This provides superior shock absorption that makes it easier to walk even on rough surfaces. Its composite shank and rubber midsoles offer support and pain relief against plantar fasciitis. These Thorogood boots also come with safety steel toes compliant with the best quality standards in the world. This electric hazard resistant boot also protects you against shock when working near live wires. Additionally, it has MAXWear wedge outsoles made from polyurethane that are resistant to oil and slipping. Verdict: Made using premium technology, this high quality boot offers greater shock absorption for increased comfort, making it ideal for people with sore plantar fasciitis. Made to endure the toughest walking environments, this boot is made using top innovations and patented technology to offer comfort and functionality. Wolverine is an American brand founded in 1883 in Rockford that is well known for its unbeatable craftsmanship and patented technology which includes Wolverine Fusion, Wolverine Contour Welt, Wolverine Durashocks, Wolverine MultiShox, and Wolverine DuraShocks SR. 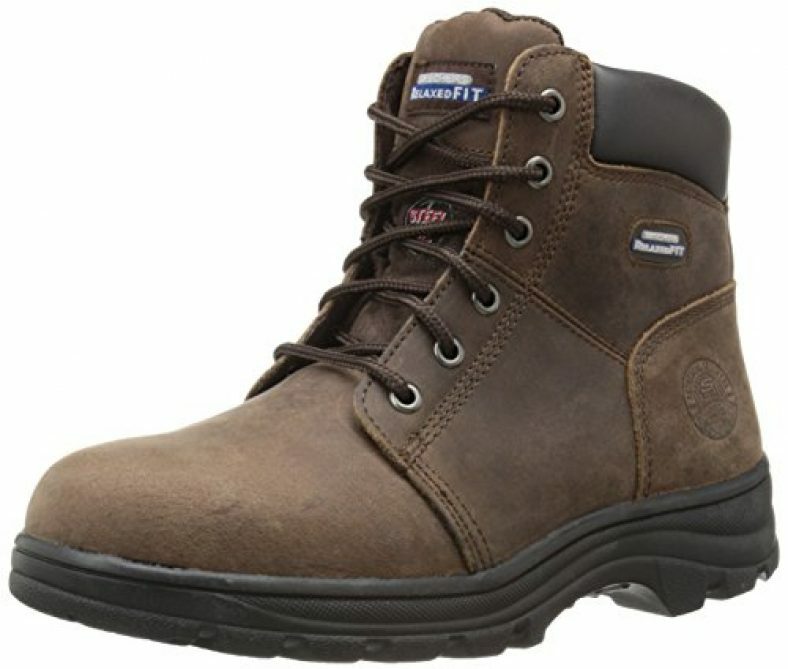 These brown boots are made using full grain leather lined with mesh for maximum breathability. They feature Wolverine’s contour Welt technology that combines flexibility with durability for the perfect work boots. These work boots with arch support also have a MULTISHOX insole that reduces heel pressure and pain coming from plantar fasciitis. The footbed is removable and can be personalized to your individual orthotics. The Wolverine W02421 is resistant to slip, abrasion, and oil thanks to its Wolverine rubber outsole. This makes it one of the best safety shoes for plantar fasciitis since it helps prevent the pain from amplifying when you move. Verdict: featuring a premium construction, these boots have no break in time offering the ultimate comfort and durability. Caterpillar is well known for making heavy machinery but it has also ventured into boot making. Just like their machinery, you can be sure their boots are made for tough conditions. They are ideal for hunting, as winter boots, and for working on construction sites and buildings depending on your needs. 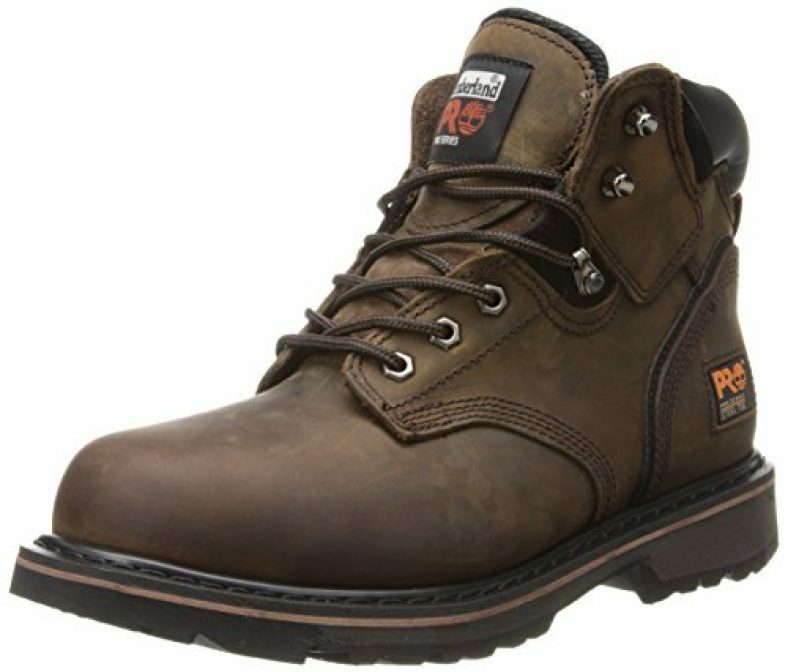 These best waterproof work boots are made using leather from heel to toe and feature a nylon mesh lining for breathability. They are equipped with an EVA removable insole that uses gel technology which assists in shock absorption, keeping you comfortable. Additionally, these boots have padded cushions for contours and the ankles that support your feet. The Caterpillar Diagnostic boots include a steel toe that provides protection against falling objects, a steel shank for extra support, and an oil resistant outsole to prevent slipping. 200 grams of thin insulation keep you warm in cold temperatures with the nylon lining keeping your feet dry. The Caterpillar Diagnostic boots have an ergo comfort system to provide maximum extended comfort. They have a flexion that helps you in natural movement, prevents fatigue, and keeps you working all day, making them ideal work boots for supination. Verdict: incorporating many comfort and safety features, this waterproof boot offers undoubted performance, making it ideal for a variety of activities. Being roomier in the toe box and having a snug fit at the heel make these some of the best work boots for plantar fasciitis. 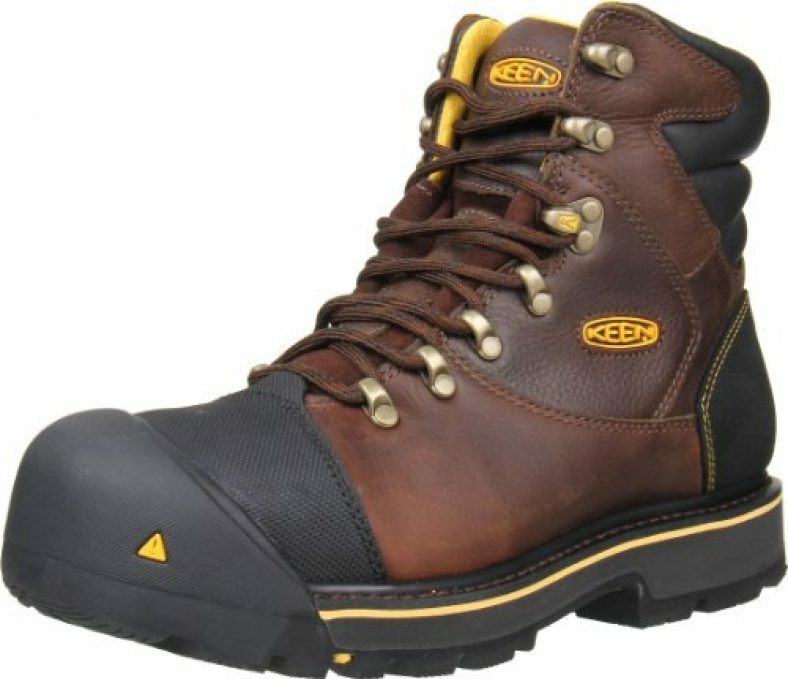 Keen has merged work safety features and design into a casual design boot, making it ideal for work as well as leisure hiking. This waterproof boot is made using leather all through with a rugged rubber outsole. The removable footbed has breathable mesh panels and a padded tongue and collar. They are also oil and slip resistant, adding to your safety. The big toe box allows your feet to breathe and helps soothe plantar fasciitis. Molded supports protect against mild impacts and abrasion, making it perfect for people with inflamed soles. Moreover, it gives sufficient room for flex and budge. The inner support mechanism provides premium arch support for increased stability. Verdict: undoubtedly comfortable boots, they offer maximum protection to your toes. These boots are also ideal for use over winter since they are warm. These plantar fasciitis work boots are made in the USA using high-quality components sourced locally and abroad. The manufacturer, Weinbrenner Shoe Company, was founded in 1892 and is a leader in the American footwear business. 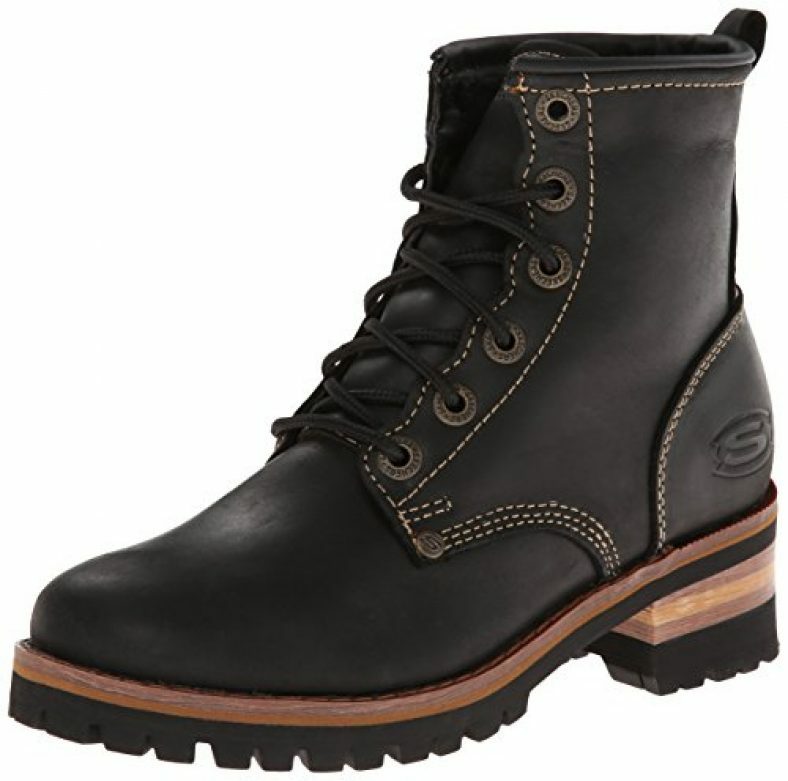 It manufactures the much sought after Thorogood boots for the work and uniform industry. They feature Moc safety toes to avoid bumps and painful stubs for people with plantar fasciitis. Additionally, they have fiberglass shanks attached to their soles for support and stability. A rubber edge gives you traction that prevents you from slipping. Its MAXWear’s wedge heel makes movement on slippery surfaces easier, making it one of the best work boots for plantar fasciitis. Additionally, the soles and heels are electric shock resistant, making it ideal for people exposed to live wires. These lightweight work boots are built for a woman’s foot and have amazing comfort features that ranks them among the best women’s boots for plantar fasciitis. They have met the ASTM F2412-11, ASTM F2413-11, and ASTM F2892-11 requirements. Timberland also has a 30-day comfort guarantee for you to see whether you’ve made the right choice. This premium boot is made with full grain leather that has a waterproof membrane that keeps the inside dry. It also has a spacer mesh lining for comfort that has an integrated anti-microbial material that keeps feet dry. The rubber dual density outsole is slip, abrasion, and oil resistant for better traction on slippery surfaces. It has a safety toe cap to keep you protected against falling objects and a foot bed cover to control temperature. The Timberland Pro women’s boots also have a rebound heel to provide added cushioning and promote energy return. This makes it one of the best work boots for heel spurs. Verdict: this durable boot is ideal for women looking for the best boots combining performance and beauty. Made for women, these stylish boots have stitching accents with a reinforced seam detail and the manufacturer’s logo embossed on the side. Skechers has been in the footwear industry since 1992 making and marketing high quality and affordable trendy shoes for men, women, and children. These work boots are made using a Relaxed Fit design to offer a comfortable fit and this model is one of the best women’s steel toe shoes for plantar fasciitis. Its rounded toe front offers protection, making them some of the best work boots for bunions. These Skechers boots have a strong shock absorbing midsole that offers comfortable support. The footbed is infused with removable gel for a comfortable feel and memory foam for additional cushioning. Its simple lace up design allows for a secure fit and the steel safety toe has met ASTM F2412/2413-2011 I/75 C/75, EH standards. Additionally, it has heel and side overlays that add stability. 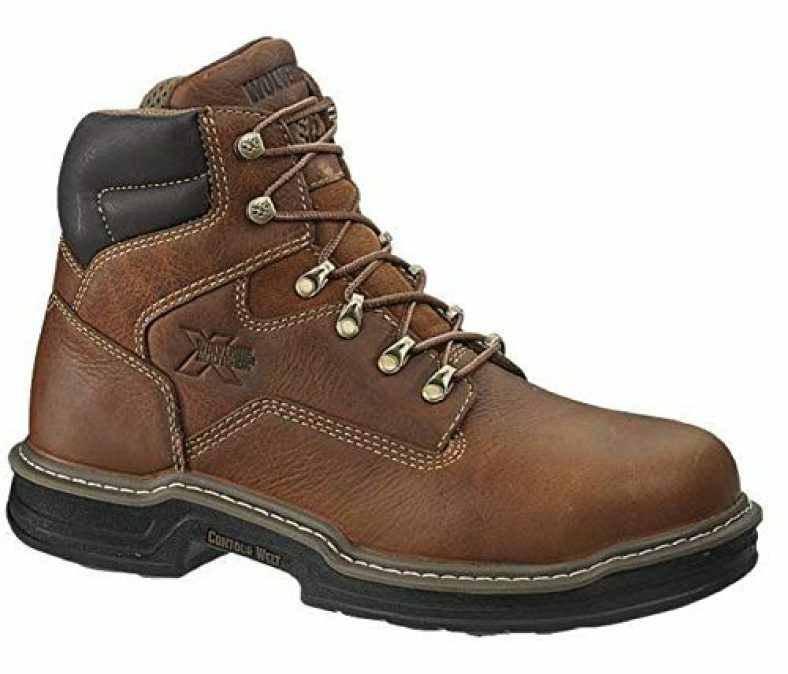 Verdict: Constructed using high-quality leather, this memory foam boot will last long while providing superior protection. Its relaxed fit for women and the rounded toe front ensure seamless work and leisure productivity in rough walking conditions. These affordable yet functional beauties feature a leather top construction with a synthetic sole and come in two models: logger style and classic model. Developed in 1992, Skechers produces high-quality, affordable, and diversified shoes to meet the different lifestyle needs of its consumers. It offers 7 Skechers brands and five others for men and women. They feature a soft fabric lining the keeps you comfortable for a long time. The lightly padded insole protects you against pressure and pain from the plantar fasciitis to your heels. The rubber outsole is flexible for more stability and comfort and increases traction on rough, gravel, and concrete surfaces. The shoe completely laces up and features a signature “S” logo on the side. Verdict: these femme work boots are highly versatile and can be used for a variety of outdoor activities, thus giving you great value at a very small price. Buyers Guide: What Shoes Are Good for Plantar Fasciitis? The plantar fascia being the largest ligament in the human body, connects the heel to the toes, which supports your feet arches. Plantar fasciitis is an inflammation of this ligament caused by strain or injuries that cause the ligament to tear. The feet become swollen and feeble, forcing you to walk with a painful limp. If you are suffering from plantar fasciitis, you need to take care when choosing the right work boot for plantar fasciitis. Wearing the correct boots eases the pain while the wrong boots worsen the pain and symptoms. Regular boots can aggravate the pain from this condition, meaning you will need to see your doctor for orthopedic work boots that treat the pain. A light bootl reduces the pressure applied on your heel since it is carrying a lighter load. Consider boots constructed with lighter materials for the best boots for plantar fasciitis to reduce the load on your feet. Steel toe boots for plantar fasciitis are exceedingly heavy and might not be an ideal choice. Lighter construction, on the other hand, will offer increased pain relief. Plantar fasciitis work boots are built using different quality materials that have soothing effects. These include leather, memory foam, mesh fabric, suede, and steel. The insole should be cushioned adequately and have extra padding for increased arch support. The heel and sole must also have added support too to reduce the pain from the condition. The boot should offer enough toe room for increased comfort. When choosing the build, the grip and boot weight are important factors to consider. Good work boots for plantar fasciitis feature a reduced break-in time, breathability, softness, and a well arched design – all increase comfort. Ensure the boot you want to buy has a flexible insole and mid-sole to prevent pain. 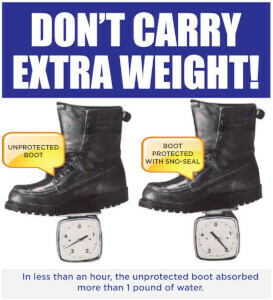 The boots should also be able to support your weight. Your work boots should also bend with the feet when you take a step. The feet make rolling motions and a flexible boot will prevent stress from going to your heel avoiding irritation. Worker boots heels have deep molded cups that offer more cushioned comfort. These cups encase your heels in the boot, which protects you against excess pressure and friction. 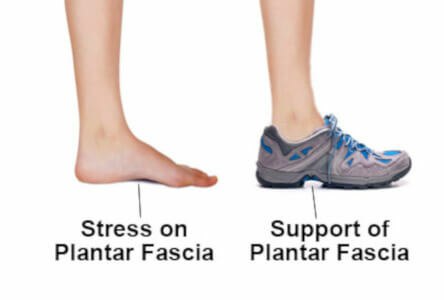 Another reason for wearing plantar fasciitis boots is to keep you safe and to reduce the pain from plantar fasciitis. As such, a boot with a good insole and outsole provides increased shock absorption. This will reduce the pain to your heel and prevent further aggravation. Consider getting boots for high arches to provide superior heel support. The best work boots for heel spurs relieve you from pain when you are walking on hard, concrete, rocky, or gravel surfaces. Muddy and other wet surfaces can cause pain to an inflamed heel – as such, select shoes that offer good slip resistance for walking in slippery surfaces. Looking for the best work boots for plantar fasciitis is not that hard. We have looked at how to choose the best boots and their specs. However, questions keep coming even after you have left the place of purchase. Getting these answers will enable you to get the perfect boots to meet all your work needs and preferences. Since most people buy these shoes online, information on work boots on these sites can be scany. No worries, we are here to help. Let us delve into some of the frequently asked questions. What are the best walking boots for plantar fasciitis? The best have to be boots that offer extra cushion against pain and protection against further symptoms. 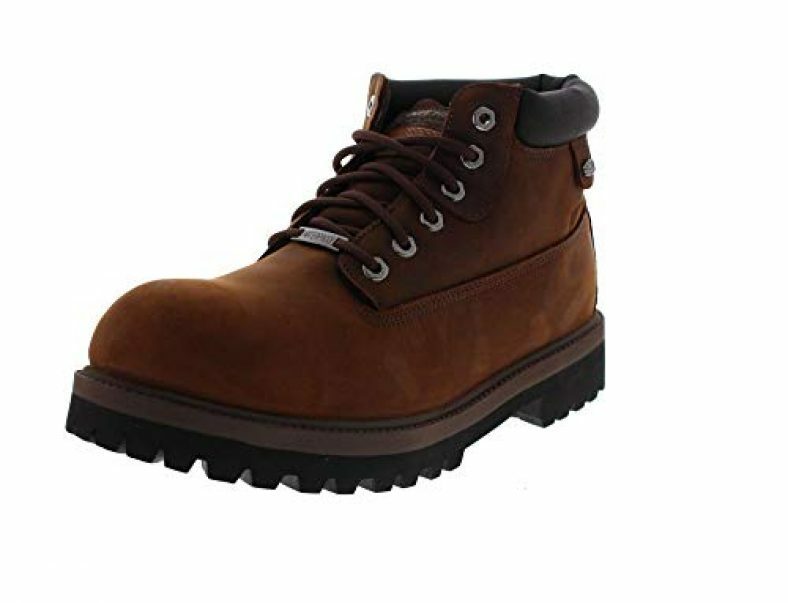 Work boots with arch support and for supination feature extra padding and comfortable soles to relieve pressure to the ligament and the heels. Boots resistant to slip, abrasion, oil, and electric shock are ideal safety shoes for plantar fasciitis. What kind of shoes to wear with plantar fasciitis? When getting treatment for plantar fasciitis, a doctor will recommend orthopedic work boots. To alleviate the pain and symptoms of this condition, you should purchase plantar fasciitis work boots. These motion control work boots are especially created with little break in time and have a flexible construction for uniform distribution of pressure on your foot. This also helps with pain relief. What brand of boots are good for plantar fasciitis? Timberland boots feature a polyurethane sole and a rubber midsole for maximum protection against bumps and protection against slippery surfaces. Timberland makes some of the best motion control work boots with their flexible construction. 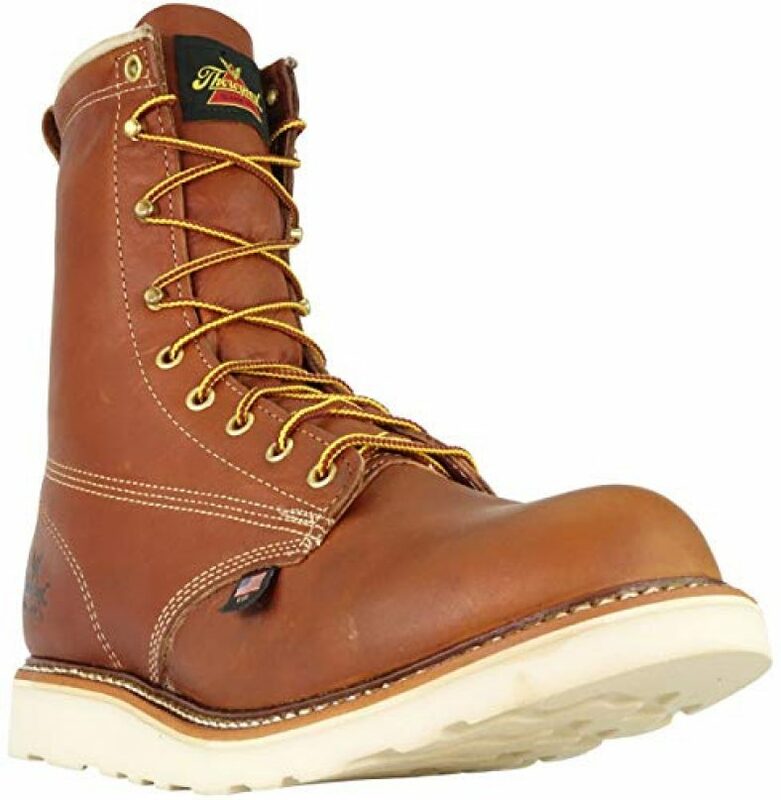 The Thorogood brand also has amazing red wing boots for plantar fasciitis. The best work boots for plantar fasciitis for men and women are those that offer superior cushioning and motion control. In this regard, Timberland takes the day from our review. As such, the Timberland PRO Men’s Pit Boss and Timberland PRO Women’s Titan Waterproof Boots are our top choices for the best work boots for plantar fasciitis for men and women respectively. They are made using high-quality materials and have motion control mechanisms that provide support and pain relief. Despite you have to fork out a lot of money for these, you get great value for your money and a very durable boot. Skechers Men’s Verdict Men’s Boot – best memory foam men’s boots for plantar fasciitis. Thorogood Men’s American Heritage 6 – best work boots for sore feet. 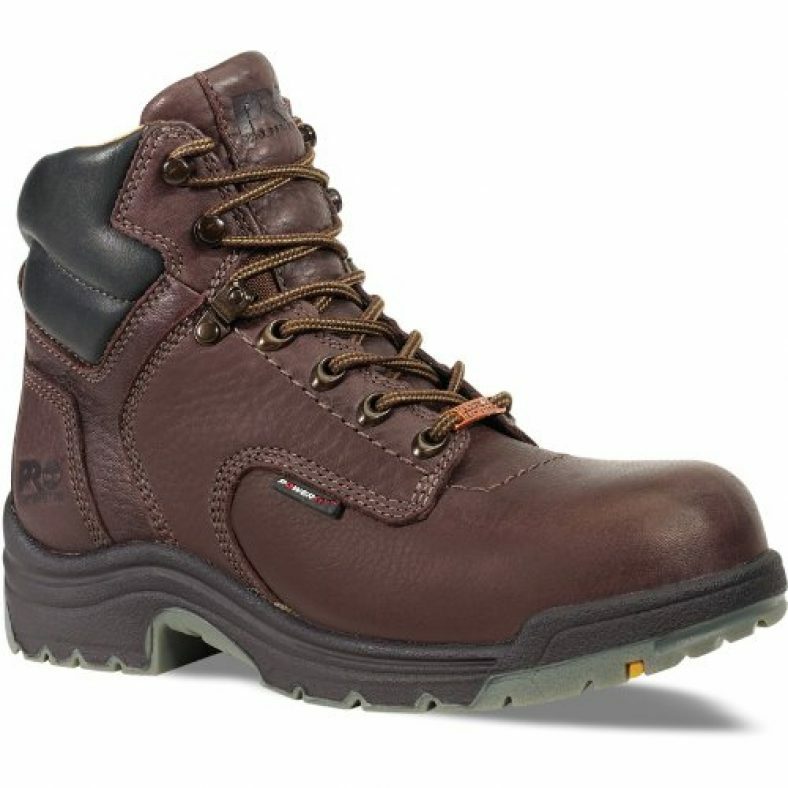 Wolverine Men’s W02421 Raider Boot – best work and safety boots with arch support. 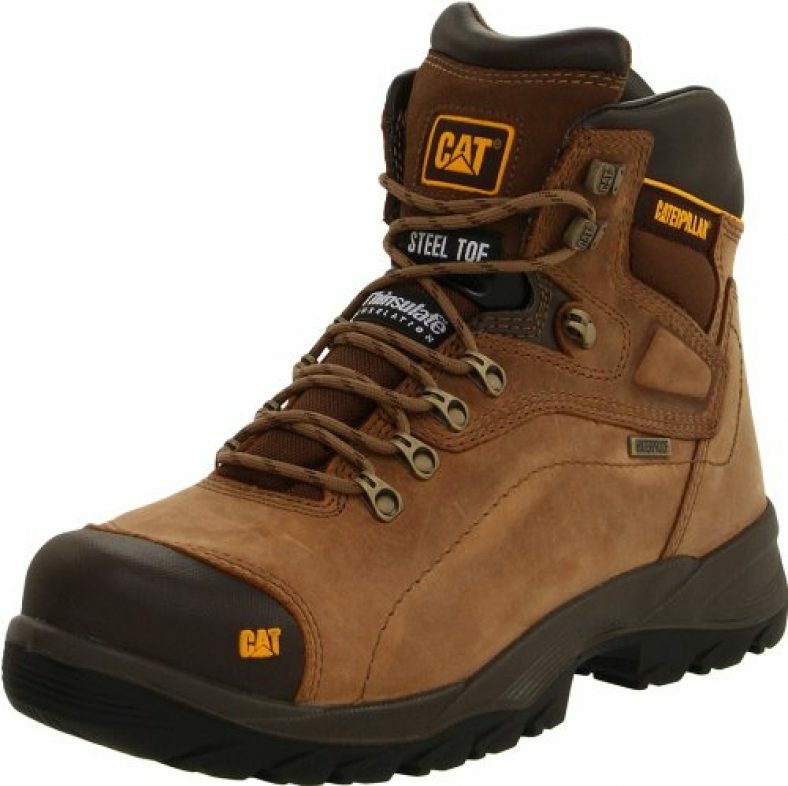 Caterpillar Men’s Diagnostic – best waterproof work boots. KEEN Utility Men’s Milwaukee – best winter boots for plantar fasciitis. 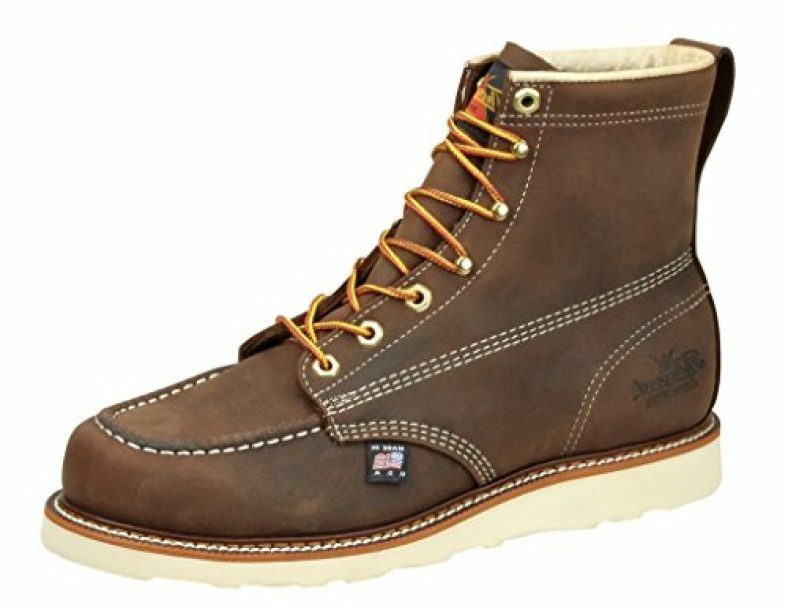 Thorogood Men’s American Heritage 8 – best men’s work boots for high arches. Skechers for Work Steel Toe Boot – best women’s work boots for bunions. Skechers Women’s Laramie 2 Engineer Boot – cheap outdoor boots. 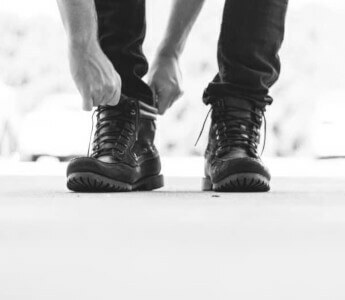 We hope you’ve enjoyed reading this and that it will help narrow down your search for the best work boots for plantar fasciitis. If you also spend a lot of time on your feet, then you will find useful information or a review of the best shoes for standing all day. Check it out! !